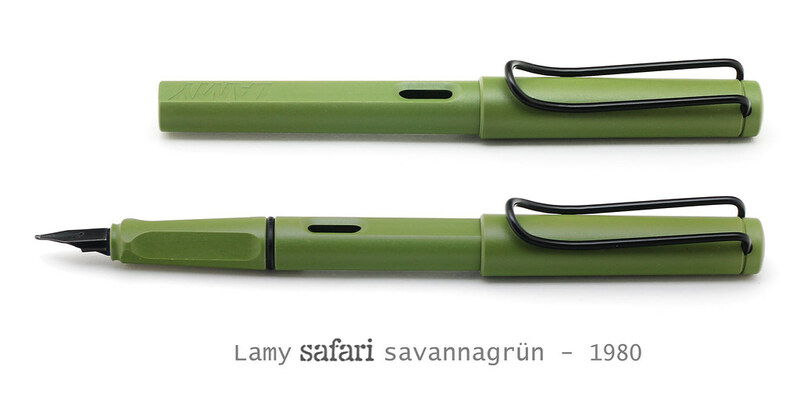 Your Favorite Lamy Safari Color? Me either! My favorite Al-Star too! Yellow with the black clip. I found myself in need of an EF. Looking around, I found the deep lilac Safari. I could not resist the color, so my first Safari is on its way. I've been wanting to try one for a while, so this is a double good thing--great color and a pen I wanted anyway. Lamy Safari EF are actually pretty good nibs! I wasn't crazy about the Lamy's in general until I saw the Safari in Dark Lilac... then shortly thereafter I had to have it in Umber. I much prefer the 'matte' finish and currently have a Matte Black on it's way. Edited by jody, 23 August 2016 - 23:50. Aquamarine and the blue one with the red clip. Wish they'd reissue those, as they did with other popular colours (Al-Star blue green, Safari apple green, which are also favourites). Al-Star ocean blue as well. Hope they do more with pink..
Hi, Here's the French blue & red trim version, I bought this in about 2008 (ish) from a LAMY dealer (B&M) and I think it was reduced in price because it didn't sell ! It's a strange combination, jarring even, but seems to be more popular now than when it was released. The Dark Lilac and Neon Lime have been my all time favorites in the Safari line. I would also throw the Charcoal one in there; the matte finishes have something inherently lovely about them. Wow -- that's a great color! I might have bought that if I had found my way to the pen world back then. It might be that the color on the clips make them look less like paper clips. One of the things that deterred me from getting a Safari in the past (other than whether or not I could used to the triangular section) was the very "industrial" look of the model -- the colored clips soften that look somewhat. White. It somehow makes a school pen look elegant and goes well with any colour of ink. Also, unlike gloss black (the other "grown-up" Safari colour), the white hides fingerprints and scratches. Dark Lilac and Lime Green. All Safaris feel cheap. They are cheap. Nothing wrong with that, they are usually good writers. That type of plastic feels cheap. Cheap is not rubbish. Cheap is inexpensive.